When the title for this week’s episode of Star Wars Rebels was announced as “An Inside Man” a little over a month ago, I made a bet with myself that Agent Kallus would be heavily featured and immediately added his name to the tags for this blog. And sure enough, the paradigm shift that has been building since last season’s “The Honorable Ones” (and was hinted at in this season’s “The Antilles Extraction”) happened and Kallus was revealed as an undercover agent for the burgeoning Rebellion and the latest incarnation of Fulcrum. Because the origins of Kallus’ change-of-heart began almost a year ago, the development of his character and his switch of allegiances feels like a natural one. As one of the Empire’s most fearsome operatives (and a warrior capable of defeating Zeb in hand-to-hand combat), Kallus would surely make for a valuable ally. But before “An Inside Man” gets to its reveal, we are treated to a thrilling action sequence as Kanan, Ezra, and Ryder Azadi race through the streets of Lothal’s Capital City. It’s been a while since we’ve been to Lothal or seen Azadi and a great deal has happened in the interim. The Empire has dropped all pretense regarding its intentions to turn the planet into a weapons manufacturing center and its former governor has gone from a reluctant rebel to a full-blown cell leader whose organization has taken it upon themselves to subvert that very manufacturing through sabotage. 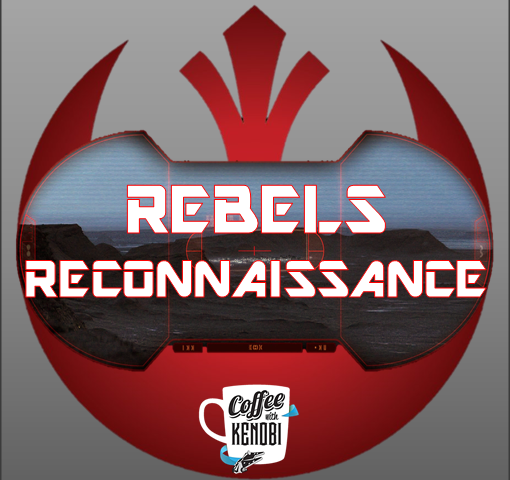 Both developments speak to just how much Rebels has grown since its premiere. Consistent and logical character growth over time has become something of a hallmark for the show as each member of its main cast and several supporting players have undergone changes throughout the show’s run, and Azadi is just the latest individual to receive this treatment. Additionally, Rebels’ shift from the first season’s use of Lothal as the location for the vast majority of its stories to one that allows for a galaxy-wide exploration of how a rebellion against the Empire would actually function speaks to the confidence of both its characters and the writers who give them life. This makes the return to Lothal that much more striking as Ezra finds that his home has irrevocably changed as much as he has. And the fact that other characters like the Sumars acknowledge these changes infuses Rebels with a palpable sense of verisimilitude. Speaking of realism, Grand Admiral Thrawn’s ability to make Sherlockian deductions about the rebels’ methodology and his aptitude for anticipating their next move arguably makes him Star Wars Rebels’ most formidable opponent to date. In “An Inside Man,” we are witness to his examination of various artifacts connected to the Ghost crew ranging from Sabine’s graffiti to the helmet of a Jedi Temple guard and the effect is chilling as one realizes how intimately aware Thrawn is of his opponent. And though we haven’t yet seen the full extent of his ruthlessness yet, his calculated exposure and disposal of Morad Sumar exemplifies the Chiss strategist’s threat level. He is definitely not your average “Saturday morning cartoon” villain who is easily foiled on a weekly basis. There are actual consequences in dealing with Thrawn, and he is much more likely to write the final chapter in the life of any one of our heroes’ lives. Still, “An Inside Man” provides plenty of levity, be it Chopper creating a diversion by crashing a speeder bike or Kanan and Ezra securing trooper uniforms by punching the Imperial soldiers and having one of the helmets pop back up à la the Nazi cap in Raiders of the Lost Ark. But the humorous quotient of both of those instances pale when compared to the moment Ezra Force-pushes Kallus through a glass monitor board and then reassures Kanan that there will be plenty of chances for him in the future. To add to that, “An Inside Man” features a sort of preview of what’s surely to come in Rogue One as we are presented with an AT-AT sequence that expands our perceptions both of what the walkers can do–and their limitations. For many fans, their favorite part of this episode will the reactions of Kanan and Ezra as an AT-AT attempts to crush them in their stolen AT-DP. In the final analysis, “An Inside Man” raises more questions than it answers. What role will Kallus play moving forward? Is his turn legitimate, and if so, how much does Thrawn already know? The rebels do succeed in gaining intelligence regarding the new TIE Defender, but is this victory another hollow one allowed by Thrawn as part of his larger strategy? Regardless of the answers, Star Wars Rebels continues to push the mythology forward and deepen our understanding of the events leading up to the Battle of Yavin. What comes next is just the proverbial icing on the cake. Next article Celebrating New Seasons of Con Man, Mark Hamill’s Pop Culture Quest and Kings of Con! Previous article Westchester Knicks to Host a Star Wars Night! Get 15% off with Discount Code!